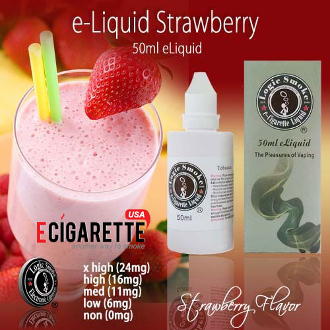 No fancy name for this one; just a simply Best E liquid, contemporary picked strawberry flavor. It's a strawberry lover's dream. This is a pure vape that is sweet, with a robust daring strawberry flavor. This flavor can take you back to the times of childhood when you ate fresh picked berries and had the juice dripping down your chin.